The chimney cleanout door is the back door of a chimney where excess debris is discarded and residues such as creosote may accumulate. Creosote is a part of a chimney sweep’s day, but creosote is an inevitable part of burning a wood fire in your fireplace. People often think that creosote buildup occurs whenever a furnace is used, but this is not the case. https://sootaway.net/wp-content/uploads/2019/02/How-to-Clean-a-Chimney-With-Fireplace-Soot-Cleaner.jpgCreosote is a dark tar-like substance that forms because of the byproducts of combustion. These byproducts are water vapor, smoke, and gases. They collect together and may stick to the inside of your chimney. Creosote may also flake or seem crusty, and it assembles easily when conditions in the fireplace are favorable. Creosote is highly flammable. While modern chimneys are built to prevent fires from spreading to the home, this is not a guarantee. A significant accumulation of creosote will turn into a fire hazard, and while this risk is increased, if there are issues with your chimney that need repair, any chimney is at risk. A common problem with a wood stove which results in creosote buildup is a poorly designed wood burning stove. Airtight stoves have been the better option for a long time. They are designed to allow the wood to burn longer at a relatively low heat, meaning that the fire needs additional wood for fuel less often, but also provides incomplete combustion. Most of the wood does not produce heat but produces smoke, and since the flue system is relatively cool, it condenses in creosote form in the flue. A newer, EPA certified, stove burns fuel more efficiently and reduces creosote buildup. If a lot of smoke billows out of your chimney, it means that your fire is not hot enough and therefore not very effective at warming your home. Another cause of creosote build up is because of chimneys that draw improperly. If the ratio between flue size and the firebox is not correct, the products of combustion will not be released out of the chimney as quickly as necessary. This causes the gases to cool off and condense, thus causing creosote buildup. When creosote buildup occurs, sometimes it is necessary to use creosote modifiers for easier removal. Creosote buildup in the third stage could be glazed onto your flue system and may be hard to remove during your chimney clean out. A creosote modifying spray or powder can alter the state of the creosote and make it easier to remove even with a standard brush. Creosote buildup is avoidable. Conditions must be right for a chimney to draw correctly. 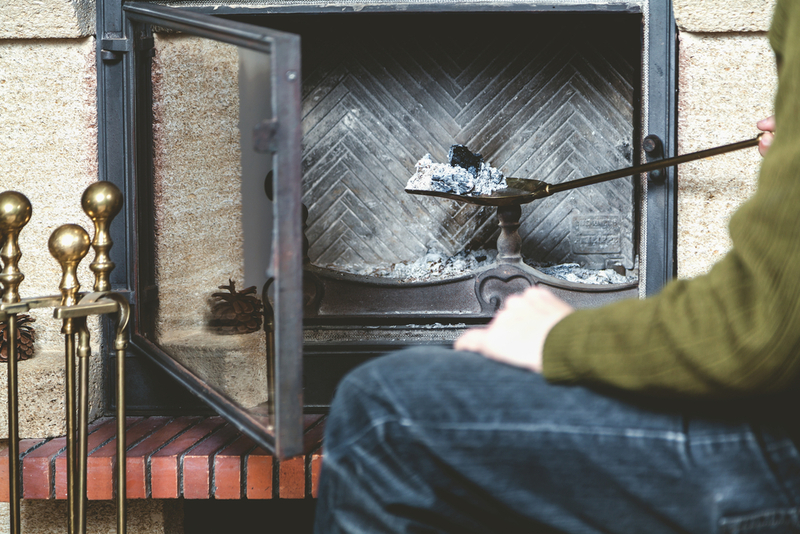 For your chimney to work properly and efficiently, the fire has to burn at an appropriate temperature, and the wood that you use must not be wet or green. Chimney fires are among the leading causes of home fires in the U.S. This is likely due to the fact that many homeowners neglect the importance of chimney sweeping and maintenance. Failure to schedule a regular chimney clean out can cause uncontrolled fires. There’s no stopping creosote completely since it occurs naturally when combustion takes place. 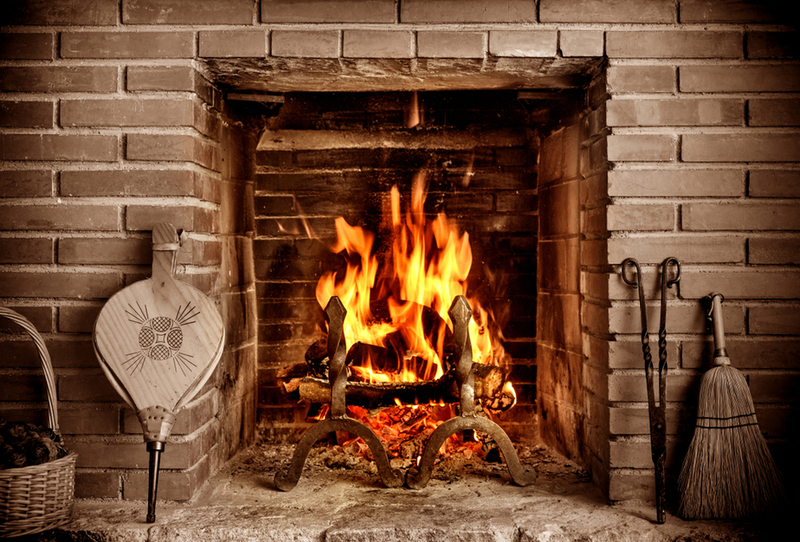 A little creosote in your chimney isn’t a problem, in fact, it’s normal and expected. However, a large amount of buildup of creosote is a big deal. You can lower the rate of accumulation by ensuring that your chimney’s ventilation is adequate. If you have any reason to suspect that the chimney’s inner mechanisms aren’t working correctly, then have it inspected as soon as possible. Your chimney requires professional cleaning annually, as this interrupts the growth cycle of the creosote and prevents it from spreading. Regular chimney cleaning is an important and essential task. It is messy, and you may not own the right tools to eliminate all of the creosote or to spot where it is a problem. Besides, with a professional chimney cleaning, a technician can also inspect other components of your chimney and fireplace for safety while performing a chimney clean out. We can help you with your chimney clean out, just fill out the form below for prompt services.